We can print your logo or message on goniometers! These logo imprinted custom clinical goniometers G360A are used by rehabilitation and medical professionals to document and measure injury and improvement during physical therapy. This item is tongue depressor shaped and pivots 360 degrees to measure larger joint movement. It is the most popular logo printed goniometer for clinical and promotional advertising use. 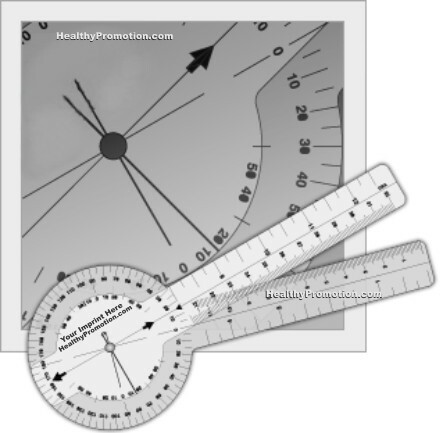 Medical professionals who use this custom goniometer tool include: Physical Therapists, Occupational Therapists, Rheumatologists, and Chiropractors. The G360B goniometer incorporates 360 degrees of measurement to be used for any application. This is the classic goniometer design and features a large dial for easy viewing of data. The lollipop shape, slender arms and smaller top dial allow the G360B to be easily rotated into position with only one hand. 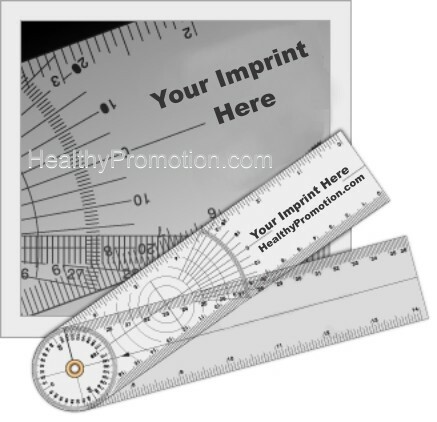 This custom goniometer can include your logo or promotional advertising message imprint. Medical professionals who use promotional imprinted goniometers include: Physical Therapists, Occupational Therapists, Rheumatologists, and Chiropractors. We can print your logo or ad message on goniometers! The G180 features a slim design with 180 degrees of measurement. It is sometimes called the finger goniometer and is helpful for measuring the motion of smaller joints. The tapered end of the top dial allows the goniometer to be easily rotated with the use of just one hand. 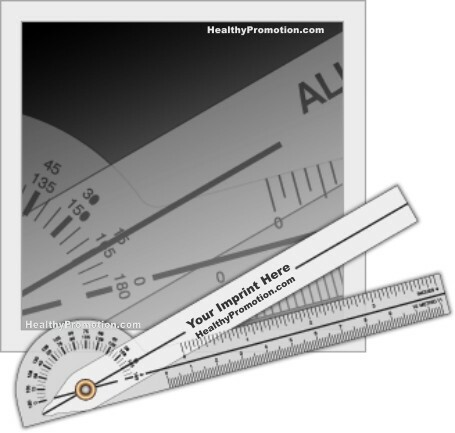 This goniometer can include your printed custom logo or promotional advertising message imprint. 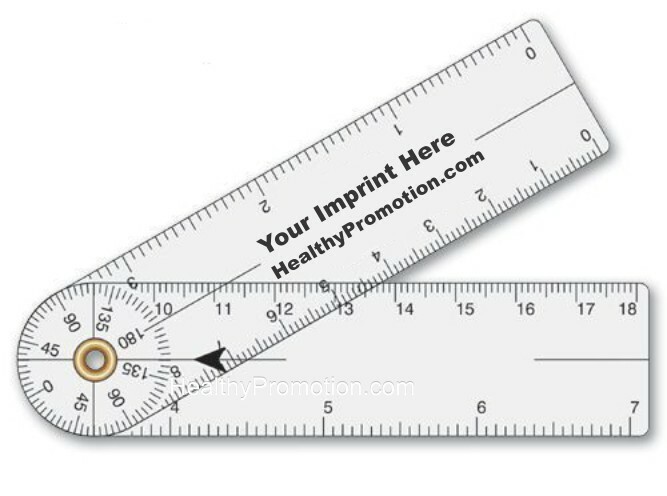 Medical professionals who use this promotional imprinted goniometer include: Physical Therapists, Occupational Therapists and Orthopedic Hand Surgeons.